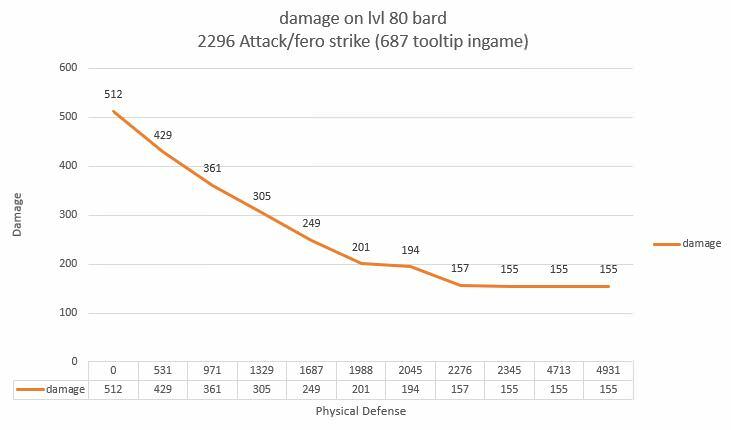 Cool stuff, this validates that PVP Defense is the same as physical and magical defense, and PVP attack is the same as physical and magical attack. I think the last thing worth confirming are the crit rates. Im still leveling my ranger to 80 but will run some long tests once done. Okay, still missing base lvl 80 stats for Chanter, Gunner, Spiritmaster, Sorcerer, and Ranger! @Harboe Arent we missing assassin base stats aswell?They arent in this thread for sure. Idk if its right here but i want to say that the break away skill from assassin holds 14s and not 7s but in the description it says 7s and in korea its 7s too. @Harboe What classes been provided by staff members?I mean i just want to know if i helped in any way by posting the glad stats.Dont even care about the reward if there is any. DarthRevan106 wrote: @Harboe What classes been provided by staff members?I mean i just want to know if i helped in any way by posting the glad stats.Dont even care about the reward if there is any. As I said, Assassin stats were contributed by a staff member. Everything else came from you guys in this thread - including Gladiator stats. I didn't post this with my original research since I did it the next day so here goes. PvPDef and Physical def cap out at your opponent's Physical Attack, so in other words a naked gunner with just anticipation on (+3000 PvP def) would drop the damage of an opponent with 3000 Physical Attack to its minimum value. 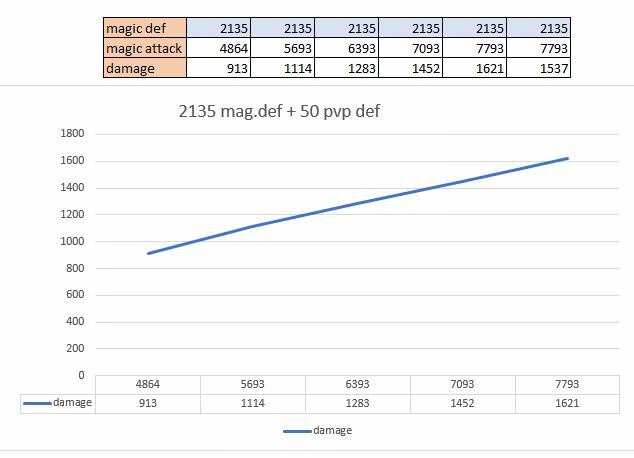 Further increase of either pvp def or physical def would do absolutely nothing. Physical Attack however does not share this cap, so if you have more attack you get more damage, pure linear scaling. 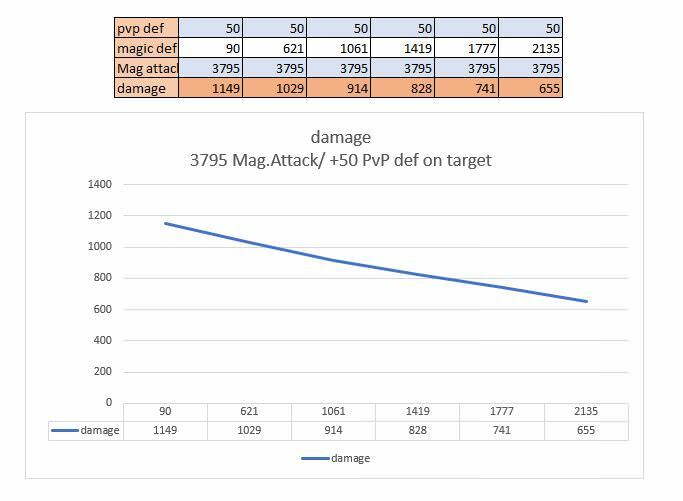 And here are the 2 graphs showing magic damage, again nothing we didn't expect. And just to confirm what was said in the video about block. 1500 does seem to be the 10% threshold. Ppl that write the stats instead of giving pics might have forgotten that if a class has any Magic defense its prob from a passive and not base stat so you might wanna look into that. 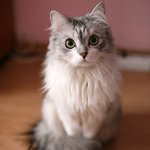 feetsz wrote: I didn't post this with my original research since I did it the next day so here goes. 1500 difference in block to accuracy is 10% chance to block? Im curious because crit manastones seem to be bad next patch because they give too little, so block may be a better alternative for shield classes, and accuracy/mr for the rest.